Design is a framework you can use to present your organization to the world. 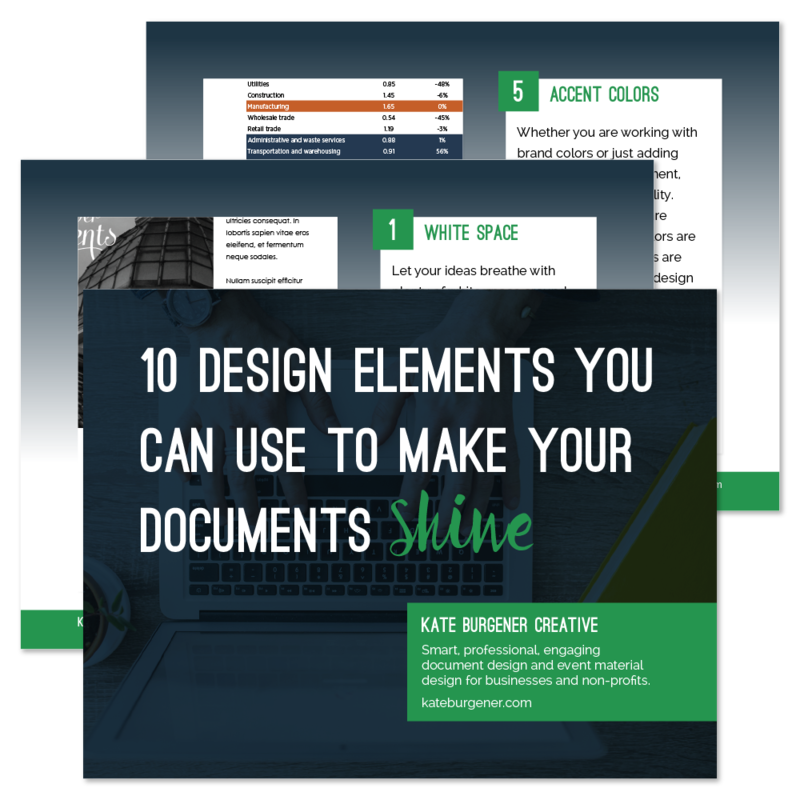 While the most important factors of your organization are the mission, programs, and the impactful change you bring to the world, well-designed materials are a tool to help you communicate that better. And when you find yourself soliciting donations, volunteer hours, or other involvement, a professional approach to that communication can be vital to gaining more support. Imagine being presented with two brochures for similar non-profits, let’s say for children’s literacy. One has been thrown together with Microsoft Word, with text that looks a little wonky, a sort-of-related piece of clip-art (maybe a stack of books and for some reason a magnifying glass? ), and no hierarchy to the copy. The other has a clear organization of information, so you spot the mission statement, a pull quote from a participating teacher, and a block of text detailing ways that you can be involved right now, all presented with consistency and attention to the organization’s branding. The brochure is easier to navigate, letting you read more in-depth about a specific program that interests you, features lovely images of the kids benefiting from the organization, and feels as if it’s crafted with care and time. Which organization are you more likely to support? Both might have equal amounts of passion, with talented people on their teams who are making a real change in people’s lives. 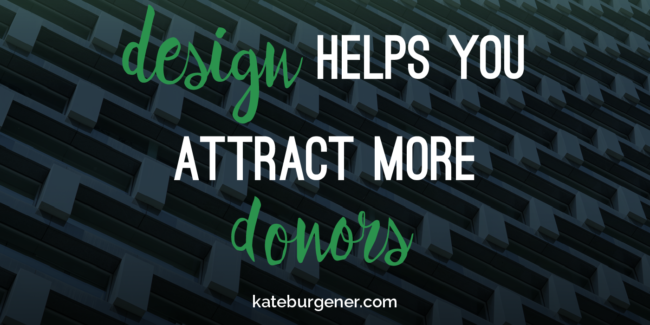 The more professionally created brochure will make that organization feel as if they’re better organized, which can in turn feel like your donations will be handled appropriately and be more impactful. Taking a longer view, if the first organization creates a series of social media posts with a random assortment of visuals, paired with whatever font the employee creating them just happened to gravitate towards in the moment, the result could feel very hodge-podge. Even the consistent presence of the logo may not make the campaign feel unified. However, if the second organization uses more cohesive visuals (similar high-quality pictures showing different aspects of their programming), applying color and text treatments in a way that’s consistent with their branding, that can help foster trust in them. The clear line of design running through the brochure, social media campaign, and other materials, where they all look related, creates steadiness for the viewer. Repetition and knowing what to expect builds trust, and that trust can be what unlocks more donations or other support. The uniformity of branding and design also helps a viewer to recognize where a message is coming from more quickly. This is particularly useful in capitalizing on the short amount of attention average viewers are likely to give each message before dismissing and moving on. If you can spark recognition within that short time frame, a person is more likely to pause and connect more deeply with your social media post, mailer, or other designed communication. Make smart choices about what should be polished and professional, and what is overkill for your organization. Materials that need to be created anyway should be developed thoughtfully, but resist the temptation to produce mountains of printed collateral in the interest of looking bigger and more important. There’s a marked difference between sending your members vital information on new programs and services and generating collateral just for the sake of it. Use your printing and design budget (or staff time) responsibly. Splashing out on expensive printing finishes because they look cool and slick can feel especially wasteful when it shows up in your donor’s mailboxes. People want to see that you’re using the money wisely to support programming and the mission of the organization, not jumping on a pricey die-cut brochure to stand out. As the scale of the materials you’re producing grows, these next-level options may be feasible, but always keep an eye on demonstrating your trustworthiness as stewards of donations and your goals. Investing in a professional approach to your organization’s materials can set you up for growth in terms of donations, volunteers, advocacy, and more. Take a hard look at the communications your organization is putting out (brochures, mailers, social media graphics, newsletters, etc) and evaluate whether it’s time to bring someone new on board to craft a beautiful and cohesive approach for you!